Start taking classes at Skyline CrossFit and other studios! 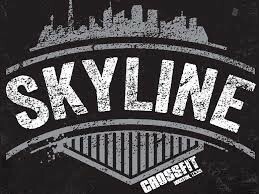 Skyline CrossFit is currently the destination for all of CrossFit in Heights Houston. They are all about community, fitness, and fun. Zach is great. Mellow and engaging style that ensures I had good form and got an intense workout. Will be back! Great class! Ended up being just a 1 on 1, and the instructor was really great at explaining proper form. Great class and workout. The instructors were very helpful.